What’s new and why signatures aren’t always required. 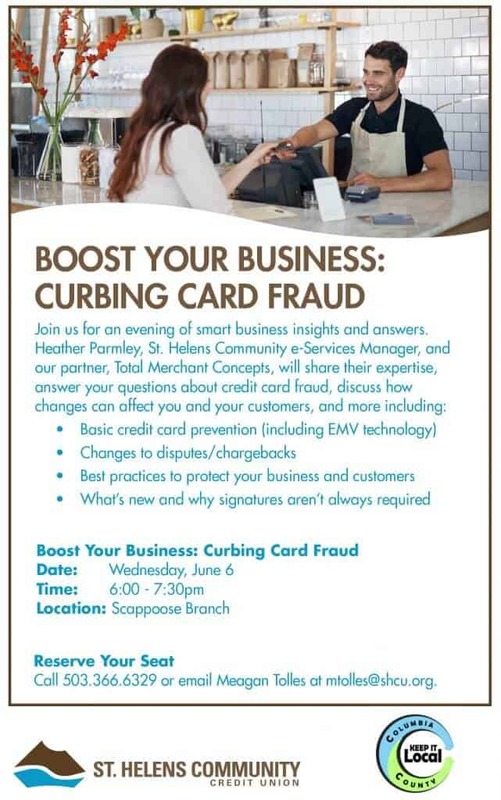 The June 6th class is free and open to all business owners in Columbia County from 6:00-7:30 PM at the Scappoose Branch of St. Helens Community Credit Union at 52691 Columbia River Highway, Scappoose, OR. Seating is limited. Please reserve your seat by calling 503.366.6329 or emailing Meagan Tolles at mtolles@shcu.org.